Operating 24 hours a day, five days a week, the FX market is constantly fluctuating. Getting the best trade deal therefore often requires a close eye. Even if you do follow the market, pinpointing the right time to exchange currencies can be difficult - especially if you have other investments to monitor. That's why financial tools, particularly those using automation, can be indispensable in trading. They can help you unlock the opportunity to make better decisions on your investments. 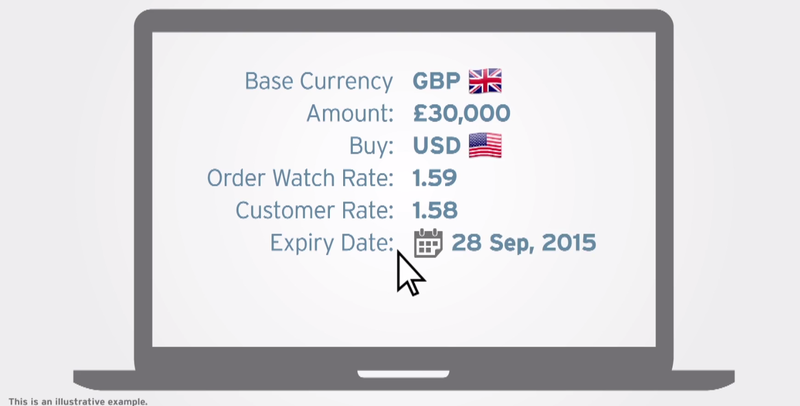 Our innovative FX Order Watch lessens the need to monitor the currency market yourself. You set the rate you want, and we do the rest – allowing you to focus on other priorities. Let's say you have £30,000 that you want to trade into USD at $1.59 to the Pound. Set an expiry date for your investment and Citigold will track the fluctuating market for you automatically. If your target rate is met within your allotted time, Citigold will make the trade on your behalf – the money is even sent straight to your account. In addition, you can use your converted currency in its respective country when you travel – without incurring transaction charges or further exchange rates. Your Relationship Manager can help you decide on your desired exchange rate. To give you a better idea on your investment, you'll then be given a customer rate, which takes into account any commission should the order be executed. Finally, if the market doesn't reflect your rate in your chosen timeframe, the order will be cancelled in line with your instructions. As ever, your Relationship Manager is on hand to further advise. When the exchange rate to convert a foreign currency to your original base currency fluctuates due to market conditions, there is a risk of loss of principal due to an exchange-rate loss. The amount you receive at maturity, when its value is calculated in your original base currency, may be lower than the principal you originally deposited. Regardless of the condition of foreign exchange rate fluctuations, there is a risk of loss of principal because the customer rate applied for converting a foreign currency back into your base currency includes Citi's foreign exchange commission. Once the order is matched or executed, the product cannot be cancelled and the funds placed are not available for further transactions or withdrawal until the order is executed, cancelled or expired.